An exquisite sure-grip green felt fabric. 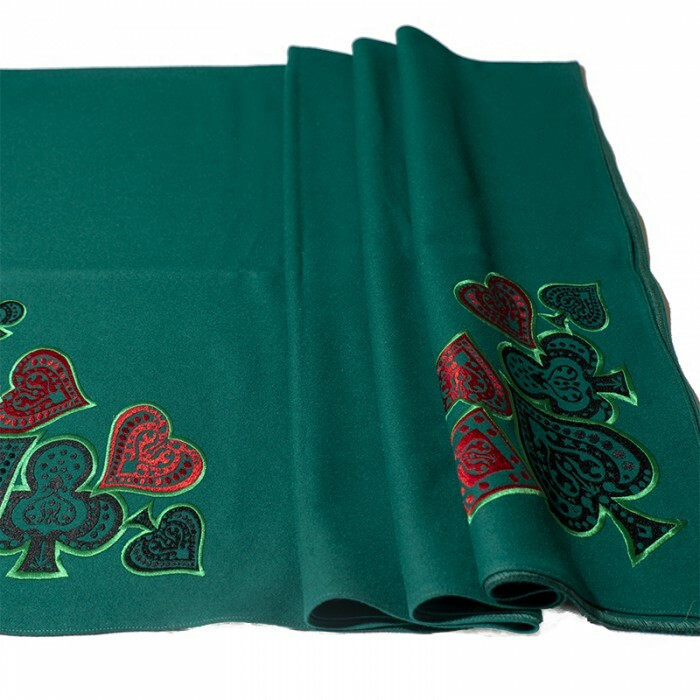 Ideal for any card, bridge, or dice table games. Highly practical and machine washable.